An employee with Feeding America Southwest Virginia hands out meals to the young residents of Tinker Creek Apartments in Roanoke. After school lets out, lots of children in Southwest Virginia can’t access the free and reduced lunches their families rely on. 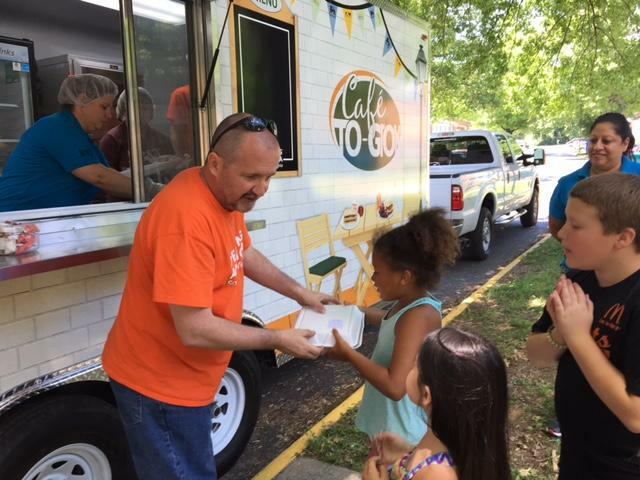 A new food truck program is taking those same healthy meals to the kids this summer. Jeff Bossert visited one of the truck's regular stops in Roanoke. Cafe to Grow's 'foodie truck' offers a variety of meal options for kids throughout the week - including tacos and spaghetti. 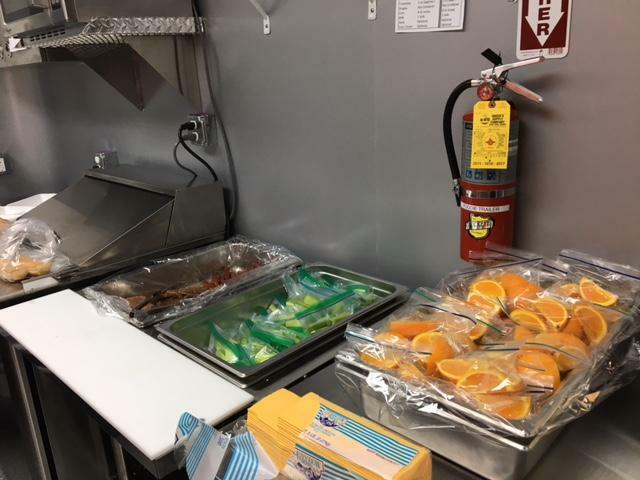 Operated by Feeding America Southwest Virginia, the truck makes three stops daily, including to Tinker Creek Apartment Homes in Roanoke, where the menu on Fridays is burgers and hot dogs. Six-year old Tristan says he also likes the side dishes, like celery and oranges, saying the food this summer is better than what he gets in school. Feeding America and its funding partners came up with $100,000 to buy the truck and other equipment. BB&T Operations Officer Janet Morrison says handing out the meals has been rewarding. 'The feedback from our employees that have volunteered so far - it's been an eye opener - awareness, excitement, so I'm hoping that maybe they'll continue their volunteering if they have time - (taking) vacation, or if they have a way to get out of the normal day to day responsiblities, come back and volunteer, because I think they've all enjoyed it." Feeding America expects to serve 10,000 meals with the new truck over the summer, serving about 200 children per day.